Rubber lined, thick leather strap. 1 1/8 inch / 30mm wide, tapered down to ¾ inch / 20mm ends to fit standard swivels. 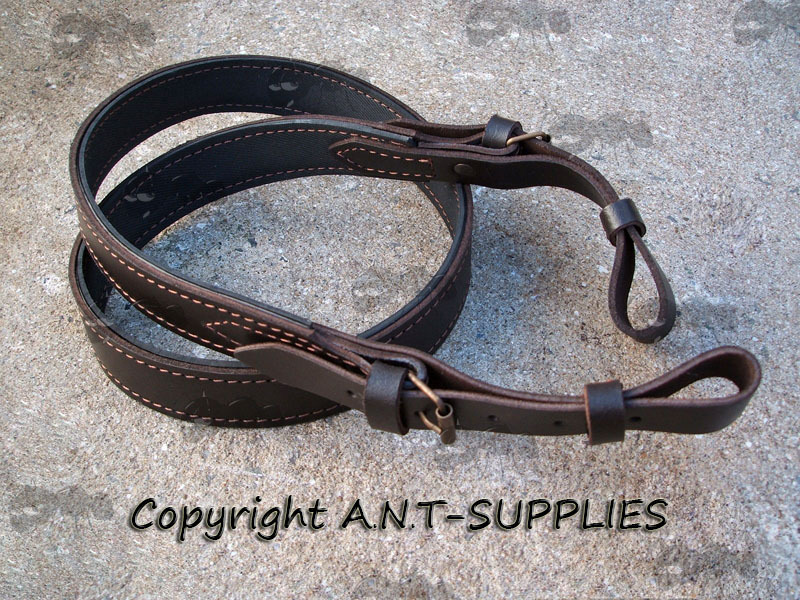 Brass buckles with eyelets in the strap to adjust length. Adjusts from 40 to 46 inches (102 to 117cm) long. Weighs approx ~ 205 grams. 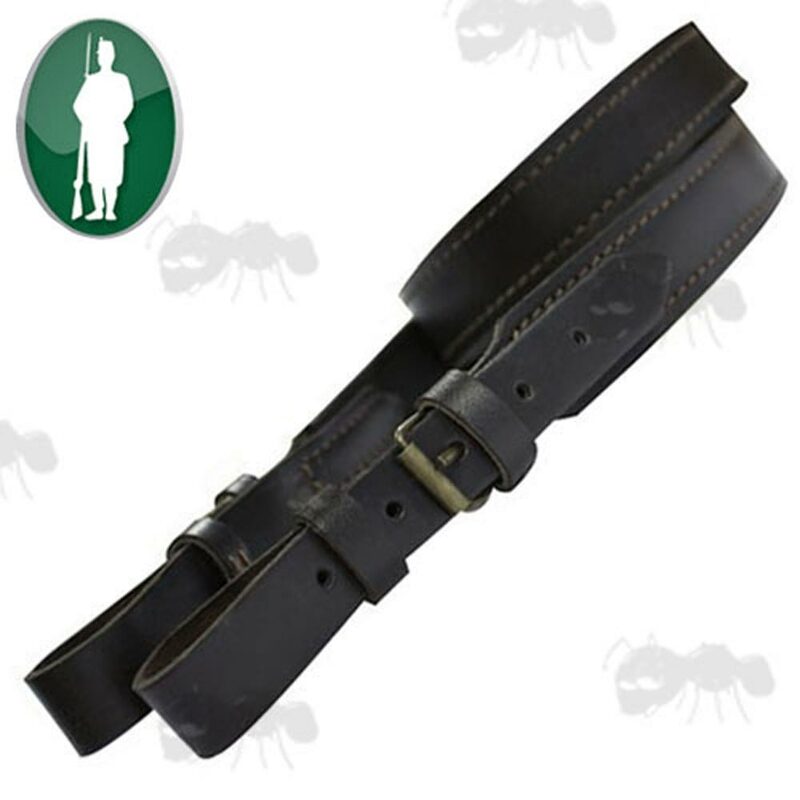 A strong and comfortable sling to fit all rifles or shotguns with standard fittings. Dark brown leather with a rubber lining for a secure hold.